This is what I get from photographing wedding suites on my front porch. I love the worn grey wood from the thousands of steps taken into and out of my house. So apparently does Tucker, who loves to greet visitors, smell the daffodils, and help model some of my work. 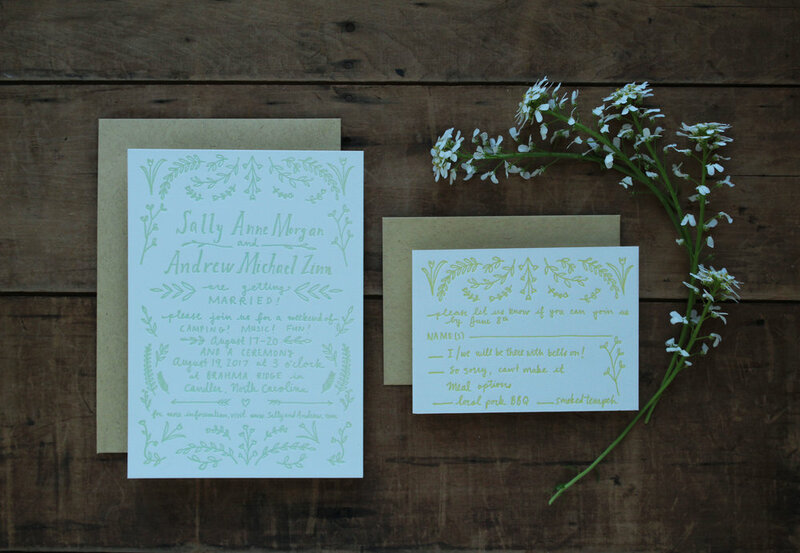 I've been working on several invitation suites, and this one strikes the perfect spring-time chord for me right now. I printed these for a local Asheville business based on their design - they even have the company's logo as the backcopy. The quality of the paper and printing, as well as the striking graphics, made these really stand out in the mail! Please send me more illustration work. I really like doing it. Here is a moth forest, logging truck, and moonshine still (not pictured) I did for Southern Cultures quarterly. I have been practicing with my nibs and brush pens, and I'm excited to officially offer envelope addressing! I currently offer 5 different styles: nice and neat, quirky, flowy, extra bouncy, and brush pen. You can see them all here. Let me know what you think! This suite was a blast to work on. I love that Kathryn and Jarad kept their style and sense of humor and lightheartedness with these still elegant invitations. I love how this steel blue on white paper reminds me of china plates. 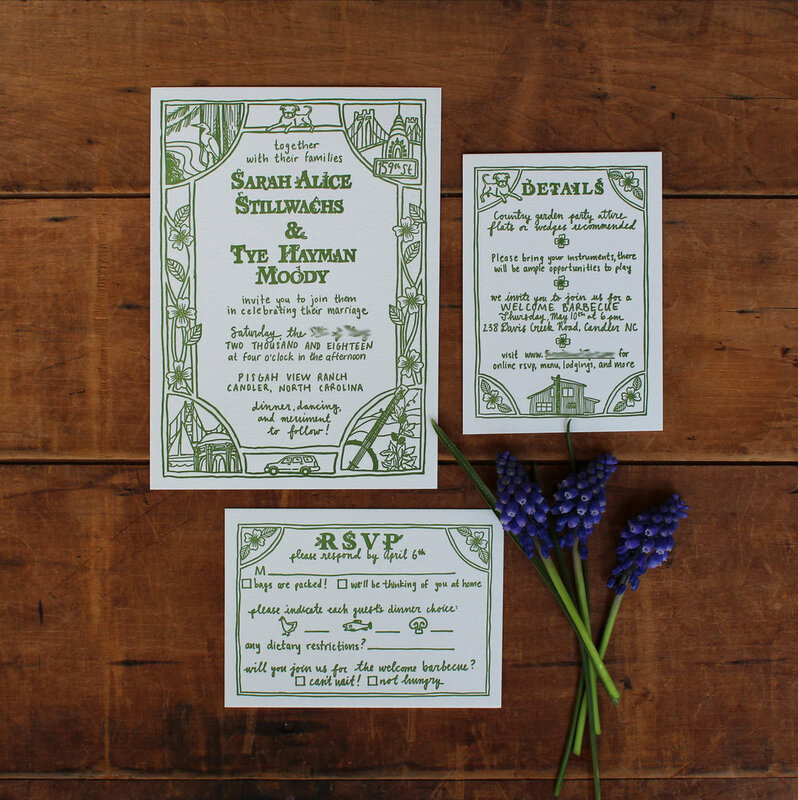 The bride and groom met in South Africa and wanted a protea flower design on their invitations. You can still send mail with vintage stamps, as long as they are unused and you have enough postage! Photo credit to Jeff Dobson. I had a lot of fun coming up with the design for this new wedding suite. Ali's wedding planner contacted me after she saw my display at a craft fair, and thought my style would suit this rock-and-roll couple. All Ali wanted was an illustration of a gallery wall of illustrations of some of their favorite things - like coffee, giraffes, eggs, and records! I thought a portrait of each of them would complete the design, plus some funky and loose handwritten text to match their quirky wording. 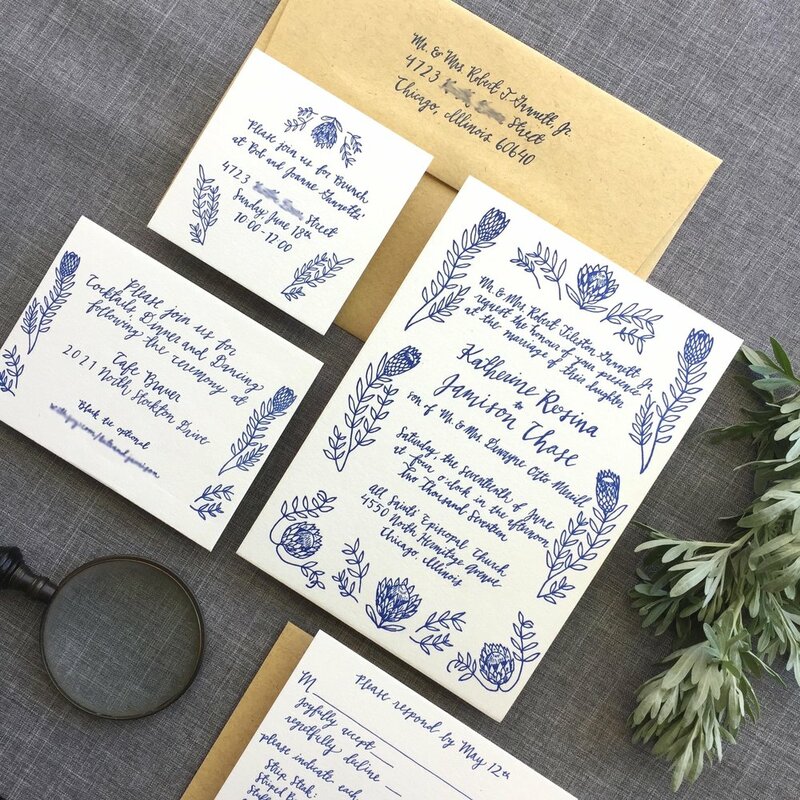 For their information and reply card, we went with a similar border to the main invitation, but included a typewriter-esque font. 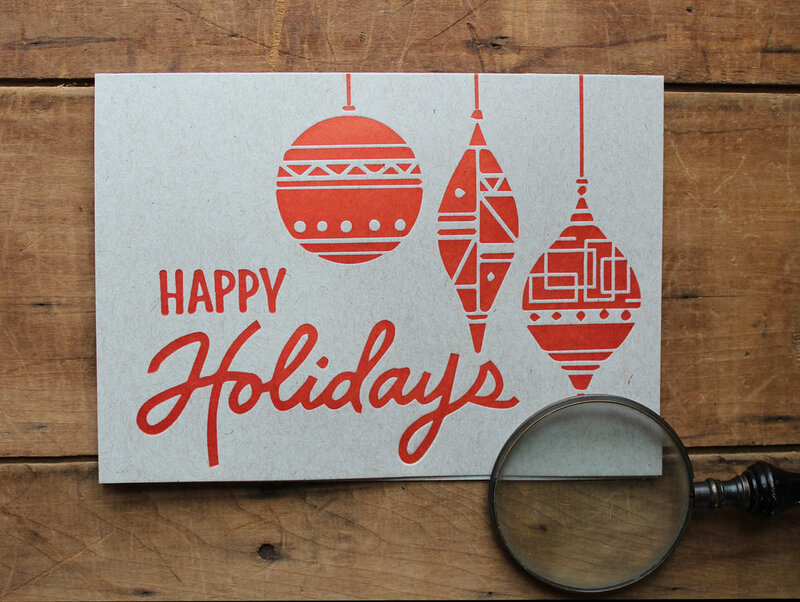 Black ink on white cotton paper, and recycled brown envelopes add a crisp elegance. I'm so happy for this authentic couple!